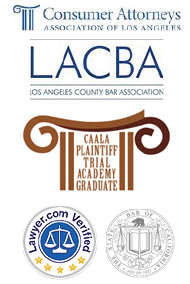 From the beginning, the Attorneys of the LA Injury Group have been dedicated only to representing the injured. It is what we do best. With over 13 years of experience, over a thousand satisfied clients and tens of millions of dollars won, we know what it takes to succeed. You can trust our experienced attorneys to give your case the individual attention it deserves. We only handle a limited number of cases, so that we can dedicate all of the firm’s time, energy and team resources to every case. We take a team based approach so everyone in the office knows of each and every one of our clients. Our hard work and dedication has resulted in millions of dollars in recovery for our clients. But what sets us apart above all is our compassion and concern for the health and well being of our clients. In order to maximize recovery, our firm has the necessary trial experience. Many attorneys in the personal injury field are known to settle their client’s cases for far less than what it is worth because they do not have the experience or the finances to take the case through litigation and to trial. Attorneys such are these are well known by the other side and they are usually given low offers for their client’s cases as they are likely to convince their client’s to take a low offer instead of heading into litigation. Our firm will not sell your case short! First, we want to make sure that our clients are in the best possible health, so we make sure that the proper medical professionals are connected with our clients. We follow up with competent doctors and treating professionals to monitor the health of our clients. In proper cases, we work with accident reconstructionist to analyze the scene of an accident for skid marks or to reconstruct the accident. We try to contact any witnesses that we may find and take depositions. We get police reports and medical records and review them immediately. In cases where expert witnesses are required, we work with the best available. Depending on the case, we investigate the accident, try our best to get the highest amount in a settlement and if we believe that we can get more money by going to trial, we are not afraid to go to trial- we actually like to go to trial and work hard to maximize your recovery. In fact, we have Super Lawyer attorneys at our firm, who work hard to maximize recovery for our clients. 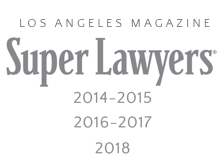 Our attorneys are well known in the community they serve and are members of various bar associations and organizations, such as the Consumer Attorneys Association of Los Angeles and the Los Angeles County Bar Association. We have recovered over Twenty Million Dollars, in verdicts and settlements, for our injured clients, in the last several years alone. We have had numerous Six & Seven figure settlements for our more seriously injured clientele. We work hard on behalf of victims of auto accidents, motorcycle accidents, bicycle accidents, pedestrian accidents, bus and metro accidents, trucking accidents, train accidents, slip and fall accidents, and accidents involving injuries on city property and dog bites and animal attacks. We also fight for victims of serious cases of quadriplegia, spinal cord injuries, and brain injuries. In addition, we litigate cases of defective products and insurance bad faith and have succeeded in wrongful death cases for the survivors of victims. Since the majority of our clients are referred to us by word of mouth, your satisfaction is our biggest priority. Our attorneys at LA Injury Group, Inc. will fight for you to ensure your recovery as well as work with competent professionals to get you proper medical care. Call us Toll FREE 1-888-500-1006 to speak with our personal injury legal experts at LA Injury Group, Inc. or contact us by filling out our form online. Me help you do what’s right, let me help you get your life back. Benjamin Charchian, Founder LA Injury Group….A graduate of UCLA and Pepperdine Law School, Mr. Charchian founded the LA Injury Group with the goal of helping his injured clients fight against the massive insurance companies who will stop at nothing to suppress individual rights. To date, he has recovered over $20,000,000 in verdicts and settlements.